Summary and Definition: The Iran Hostage Crisis (November 4, 1979 – January 20, 1981) erupted when a group of militant Iranian students, stormed the United States Embassy in Teheran and took 53 American hostages. The Iran Hostage Crisis arose following Iran's Islamic Revolution by supporters of the Ayatollah Khomeini and the forced exile of the Shah of Iran. On 22 October 1979 President Carter made the decision to allow the exiled Shah into the United States for medical treatment and this action resulted in Iran Hostage Crisis with demands to extradite the exiled Shah. Diplomatic attempts to gain the hostages release failed as did an unsuccessful U.S. rescue mission. The death of the Shah on 27 July 1980 led to renewed negotiations and the hostages were finally released by the Iranians on January 20, 1981 minutes after President Carter left office as President Reagan assumed the presidency. Jimmy Carter was the 39th American President who served in office from January 20, 1977 to January 20, 1981. One of the important events during his presidency was the Iran Hostage Crisis. The following fact sheet contains interesting facts and information on the Iran Hostage Crisis. Iran Hostage Crisis Facts - 1: Just months after the success of the Camp David Accords, President Jimmy Carter was faced with a serious crisis in the Middle East, the Iran Hostage Crisis. Iran Hostage Crisis Facts - 2: Iran was extremely important to the United States as a major supplier of oil and a buffer against Soviet and Communist expansion in the Middle East (refer to the Suez Crisis for additional information). Iran Hostage Crisis Facts - 3: Iran was ruled by Shah Mohammad Reza Pahlavi and the United States had supported the Shah for more than twenty-five years, gaining valuable influence over Iran's oil. Iran Hostage Crisis Facts - 4: The Shah of Iran adopted policies to bring further Western influence and reforms to the country, which resulted in the Shah's mounting unpopularity and in strong dissatisfaction to the growing numbers of fundamentalist Islamic groups in Iran. Iran Hostage Crisis Facts - 5: The Shah was a dictator and any opposition to his policies were suppressed by the threat of exile, torture or death at the hands of the Shah's secret police, the Savak. Iran Hostage Crisis Facts - 6: The Islamic clergy fiercely opposed the Shah’s reforms, believing westernization to be hostile to Islam. Ruhollah Khomeini (1900-1989) was a respected religious scholar and an outspoken opponent to the pro-Western regime of the Shah of Iran. He was to become known in the West as the Ayatollah Khomeini, the term 'ayatollah' means a leading Shia scholar. Iran Hostage Crisis Facts - 7: In 1962, Khomeini was arrested by the Shah's secret police for his outspoken opposition to the pro-Western regime of the Shah. The arrest of Khomeini elevated him to the status of national hero to the repressed people of the country. Iran Hostage Crisis Facts - 8: In 1964, Khomeini was exiled from the country, living in Turkey, Iraq and then France. During his period of exile (1964-1979) Khomeini urged his supporters to overthrow the Shah. Iran Hostage Crisis Facts - 9: By the late 1970s, the repressive regime of the Shah, his pro-Western policies, unequal distribution of oil wealth and corruption in the government resulted in widespread strikes, riots and mass demonstrations across the country. Iran Hostage Crisis Facts - 10: On 2 December 1978, Muhurram, the celebration of the month of martyrdom, began. Thousands of Iranian demonstrators seized government buildings, attacked and shut down businesses and assassinated government officials. The life of the Shah was under threat as thousands began calling for the death. Iran Hostage Crisis Facts - 11: On January 16, 1979 Shah Mohammad Reza Pahlavi was forced to flee Iran. He first visited Egypt and Morocco, Panama and the United States. Iran Hostage Crisis Facts - 12: On February 1, 1979, Ayatollah Khomeini returned from exile, fiercely denouncing American influence and was appointed Iran's political and religious leader for life. Iran Hostage Crisis Facts - 13: Ayatollah Khomeini established an Islamic Republic and created the Islamic State, introducing Islamic law across the country. Violent retributions were exacted on supporters of the Shah including the executions of over 600 government officials. Iran Hostage Crisis Facts - 14: On 22 October 1979 President Jimmy Carter made the decision to allow the exiled Shah into the United States for medical treatment. Iran Hostage Crisis Facts - 15: Crowds of enraged students gathered in the streets, shouting, "Death to America" believing the United States was trying to secretly restore the Shah to power. Iran Hostage Crisis Facts - 16: Two weeks later on November 4, 1979, revolutionary militants stormed the United States Embassy in Teheran and took 53 hostages. They demanded the Shah in return for the American hostages. Iran Hostage Crisis Facts - 17: The Iran Hostage Crisis began as a crowd of over 3000 furious protestors demonstrated at the US Embassy in Teheran. The mob scaled the 10 foot high wall and stormed the building. The guards at the embassy compound launched tear gas, but they were unable to control the mob. Iran Hostage Crisis Facts - 18: 53 Americans were taken as hostages. Six Americans had managed to escape to other embassies and other non-US citizens were released. About 200 Islamic militant, supporters of the Islamic Revolution and Ayatollah Khomeini occupied the embassy calling themselves the Muslim Student Followers of the Imam's Line. Iran Hostage Crisis Facts - 19: The 53 American hostages were bound, blindfolded and shoved into windowless rooms. The Muslim militants threatened to kill the hostages or try them as spies. Iran Hostage Crisis Facts - 20: Americans and the rest of the world watched in horror as the events of the hostage crisis was played out on television. The blindfolded hostages were paraded for the cameras to humiliate the United States. Iran Hostage Crisis Facts - 21: The media coverage was a demoralizing and shocking sight for the US public who began tying yellow ribbons around tree trunks throughout the country in commemoration and support of the hostages. 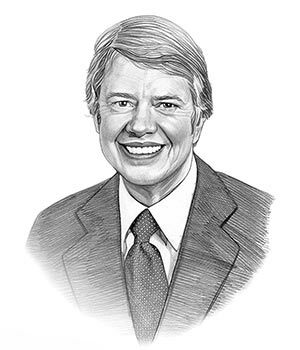 Iran Hostage Crisis Fact s - 22:Freeing the hostages became a priority for the administration of Jimmy Carter and the President pledged to preserve the lives of the hostages and conduct intense diplomacy to secure their release. The following fact sheet continues with facts about the Iran Hostage Crisis. Iran Hostage Crisis Facts - 23: President Carter responded by applying economic sanctions by freezing billions of dollars in Iranian assets and by instituting an embargo on Iranian oil. Extradition was refused. Iran Hostage Crisis Facts - 24: Despite frantic negotiations the Iranians continued with their refusal to release the hostages until the Shah was extradited to Iran. Iran Hostage Crisis Facts - 25: Due to the failure to obtain the release of the hostages through diplomatic negotiations, a daring rescue plan was taking shape. The rescue plan involved landing eight American military helicopters in the embassy compound, rescue the hostages, and escape to six planes waiting on an airstrip in the Iranian desert. Iran Hostage Crisis Facts - 26: The an ill-conceived rescue mission, Operation Eagle Claw, was launched April 24, 1980 but turned into a disaster. Three of the eight US helicopters malfunctioned and the pilot of a fourth helicopter, blinded by a dust storm, crashed into a refueling aircraft. Operation Eagle Claw was aborted. Iran Hostage Crisis Facts - 27: The unsuccessful rescue operation cost the lives of eight U.S. servicemen, some of their charred bodies were taken through the streets of Tehran during massive protests. Iran Hostage Crisis Facts - 28: The White House announced the failed rescue mission at 1:00 a.m. on the following day. The hostages were subsequently scattered across secret locations in different cities to make a second rescue attempt impossible. Iran Hostage Crisis Facts - 29: On July 11, 1980, vice consul Richard Queen (August 7, 1951 – August 14, 2002), was released after 250 days in captivity after falling ill with multiple sclerosis. Iran Hostage Crisis Facts - 30: On 27 July 1980, the Shah Pahlavi died in Egypt, where he was granted asylum by President Anwar el-Sadat, at the age of 60. The death of the Shah eased some of the tensions and enabled further negotiations to take place. Iran Hostage Crisis Facts - 31: News coverage of the Iran Hostage Crisis were screened on TV every night reminding the American public how many days the hostages had been held. Iran Hostage Crisis Facts - 32: The lengthy negotiations for the release of the captives resulted in the United States releasing over $8 billion of Iran's frozen assets. America also agreed to refrain from interfering politically or militarily in Iran's internal affairs. The hostage takers were given immunity. Iran Hostage Crisis Facts - 33: The United States and Iran signed the agreement to end the Iran Hostage Crisis on January 19, 1981. However, in a gesture to cause a final embarrassment to President Carter the militants did not release the hostages until January 20, 1981, the day Ronald Reagan was inaugurated as President of the United States. Iran Hostage Crisis Facts - 34: Minutes after President Carter left office, a plane carrying the fifty-two remaining hostages left Tehran for a a US Air Force base in West Germany. Iran Hostage Crisis Facts - 35: The freed Americans were taken from West Germany to Washington where they were given a hero's welcome along Pennsylvania Avenue and a reception hosted by President Reagan at the White House. Iran Hostage Crisis Facts - 36: The 52 U.S. captives that had been held in Iran were at last released, ending the 444-day Iran hostage crisis. Iran Hostage Crisis Facts - 37: After the shocking and deeply upsetting events of the Iran Hostage Crisis the nation was soon rocked by the revelations of the Iran-Contra Scandal. The article on the Iran Hostage Crisis provides detailed facts and a summary of one of the important events during his presidential term in office. The following Jimmy Carter video will give you additional important facts and dates about the political events experienced by the 39th American President whose presidency spanned from January 20, 1977 to January 20, 1981.